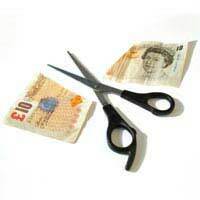 Home > About Redundancy > Should I Take a Job Cut or a Pay Cut? Deciding between a pay cut or a job cut is one of the hardest decisions most people will face in their working life. Nobody wants to take a pay cut, but sometimes it can be better to have a little of what you love than nothing at all. It is important that you weigh up your options and the benefits of both decisions, as sometimes it can be more financially rewarding to walk away and start again rather than take the pay cut. 1)	What Are the Chances of You Finding Another Job? 2)	Do You Have Good Benefits With Your Work? 3)	Would You Get a Redundancy Package? 4) Could You Survive on the Reduced Wage? 5) Do You Want to Leave Your Job? You seem to be in a good position regarding your finances and your career opportunities so you may want to think about moving on and looking for a higher paid job elsewhere. If you are confident you will be able to find work elsewhere in your chosen profession then you should consider opting for redundancy if it is on offer. Before you take the plunge though it might be a good idea to look around and see what other jobs are on offer, as you do not want to jump out of the frying pan into the fire. If you have been thinking about leaving the company now is the time to seize that opportunity and try your hand at something new. It sounds like you are at a crossroads and you should think carefully about what you really want. If you would be happy staying in your old job and be able to get by on the wage it might be the safe decision to stay where you are. If on the other hand you are not being offered any redundancy money there is no appeal in leaving. If this is the case it might be a good idea to stay with the firm on the lower wage and continue to look for a job elsewhere as this way you have nothing to lose. It sounds like you have concerns as to whether or not you will be able to find work elsewhere. Your answers also suggest that you have a number of benefits with your work that might add to the attraction of staying, such as a pension or free healthcare. Although these might not materialise into a higher wage they are added bonuses you should take into account. If you enjoy your work and feel you could survive on the wage they are offering there is no need to leave straight away. You may feel cheated working on a smaller wage but ultimately you will be helping you and your company. You will know in your heart whether your job is right for you and whether you will be able to survive on the lower wage. If you are willing to make the sacrifice and you can afford to then you should not feel guilty about staying with the firm. Likewise, you should not feel bad about leaving the firm if you cannot manage on the wage they are offering. In this case you should give ACAS a call to see if there are any options for complaint. However, you are mixing up what redundancy means, redundancy means the council are effectively making your job redundant, not you, meaning the level of your your health does not figure in the assessment. Your health is a separate matter, therefore if you’ve developed a health condition, you probably want to know whether you can take time off work, work more flexible hours, or have adjustments made to your job or place of work. If you are registered with a disability, then your employer has to make ‘reasonable adjustments’ so that you are not disadvantaged at work. Money Advice Service has a summary of your legal rights at work and support to help you keep working here. You don't say how old you are, but Money Advice Service also has a link regarding the options of taking early retirement because of illness or disability, here. I hope this helps.